If you’ve got essential oils and you’ve got cats, we’re going to bet that you love them both! But perhaps your cat doesn’t feel the same way. 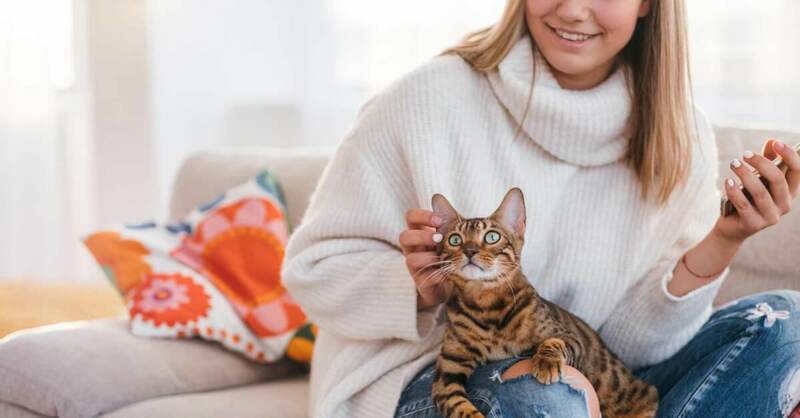 In fact, there’s a pretty good chance that your cats absolutely detest your EO affection and may be secretly plotting a way to mercilessly overthrow these tiny bottles reign in your home! It’s Game of Thrones—with cats. So what’s the deal with EOs and cats? Jokes aside, this is an incredibly important topic to discuss if you have feline friends in your home. Cats and essential oils are a potentially toxic mix. Doing something as seemingly innocent as diffusing some Peppermint to freshen up the air can have you rushing your kitty straight to the veterinarian’s office. This blog is not intended to be a scare tactic to pressure cat owners to toss their oils. However, it is meant to educate and advise responsible and mindful use of your aromatherapy products in a home occupied by your precious kitty tenants. How do essential oils impact your cat’s health? Cats have unique bodies that can’t easily be compared to other mammals. Particularly, they are deficient in a liver enzyme called glucuronyl transferase. Because of this, cats are not able to eliminate compounds through hepatic glucuronidation like most other mammals. So what does all that mean? In a very basic sense, it means that the lack of this important detoxification mechanism results in a slower elimination of certain compounds—if elimination is possible at all. Without the necessary enzymes to break down certain substances and effectively excrete them, it ultimately leads to the buildup of toxins in their bodies. Cats are most sensitive to specific groups of essential oil constituents. This includes phenols and other compounds containing benzene rings, which we find in the essential oils of Wintergreen, Fennel, Peppermint, Tea Tree, Eucalyptus, and Marjoram (to name a few!). They are also extremely sensitive to ketones, such as Rosemary, Spearmint, Dill, and Sage. And unlike many other mammals, cats are sensitive to monoterpene hydrocarbons (terpenes), such as pinene and limonene. This means that both citrus and coniferous essential oils should absolutely not be used around cats. Not only do we risk poisoning cats with essential oils as the toxins build up in their body, but simply inhaling the strong aroma of essential oils can cause some cats to suffer from a watery nose or eyes, burning throat, nausea, and difficulty breathing. Different methods of aromatherapy present different concerns for your cat. As a cat owner, you must be cautious using essential oils in your home. Active and passive diffusion can lead to respiratory irritation and toxin buildup. Although the teeny tiny droplets coming from our diffuser may seem small and harmless, they pose a great health risk for cats. The delicate and thin skin of a cat rapidly absorbs EO molecules, which their liver will then attempt to metabolize. 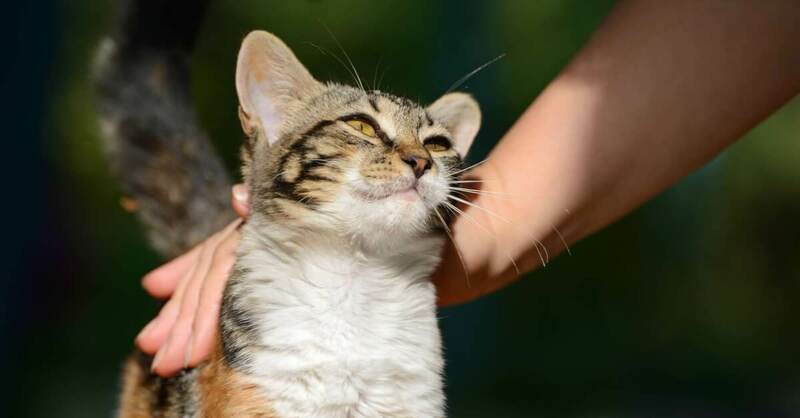 The molecules may also collect on the cat’s fur, leading to ingestion when your cat begins grooming him- or herself. Applying essential oils topically on a cat, whether diluted or neat, can lead to immediate health emergencies that your friend may not be able to fully recover from. The buildup of toxins in a cat’s body can show up immediately or years down the road. 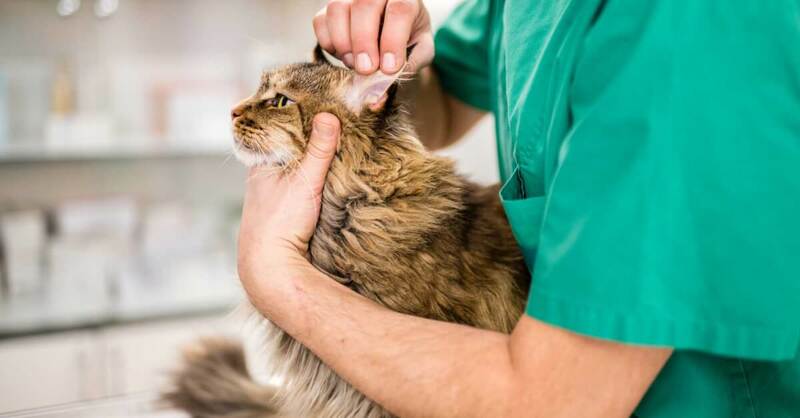 If you notice any physical or behavioral changes in your cat and suspect an EO may be the culprit, please visit your veterinarian. 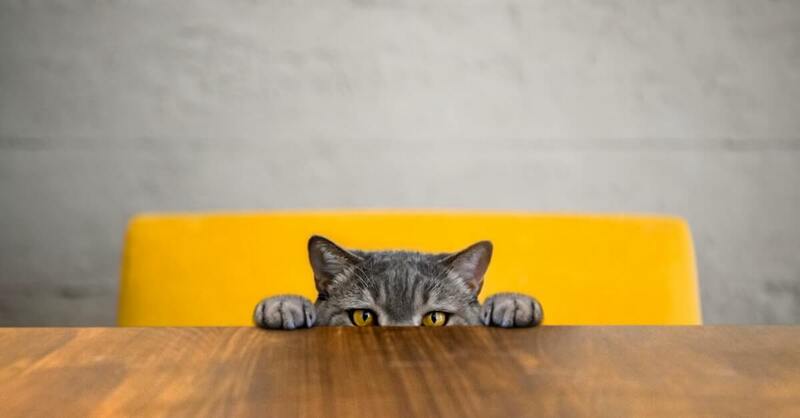 Since, unfortunately, cats can’t speak our language, we have to maintain a watchful eye over our feline friends. Consult your vet right away if you have any concerns. But keep in mind that even with supervised care and plenty of fluids cats are still unable to completely excrete toxins from their body. This can result in permanently elevated enzyme levels and varying degrees of liver function. 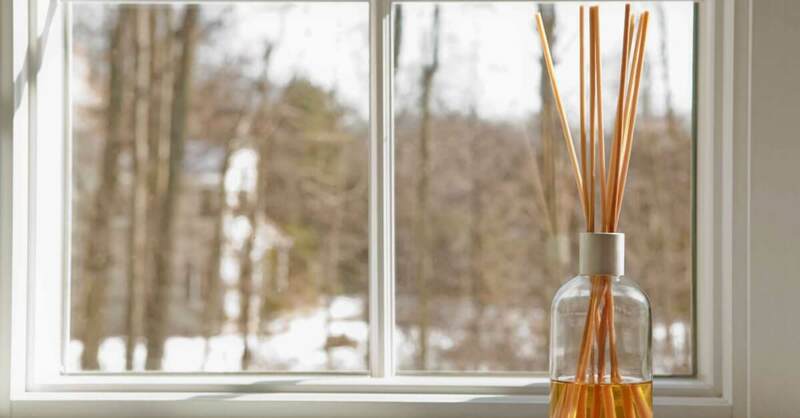 Safe tips for using your essential oils with cats at home. So does having a cat completely rule out your aromatherapy dreams? Absolutely not! As long as your dream doesn’t include using EOs on your cats, that is. Follow these simple tips to enjoy your oils while simultaneously keeping kitty safe! Diffuse in a well-ventilated room blocked off from your cat. Never diffuse in an enclosed room with your cat trapped inside. Store your EOs somewhere your cat cannot reach them to prevent accidental contact and/or ingestion. Wash your hands after working with oils. When using EOs in cleaning products, do not allow your cat to walk on those surfaces until the EOs have evaporated. Absorption through paws or ingestion during grooming will increase your cat’s chance of poisoning. Inhalers, inhalers, inhalers! This might just be the perfect way to enjoy your oils without putting any cats in harm’s way! Following these suggestions will help to responsibility minimize your cat’s exposure to essential oils and therefore decrease the likelihood of any toxins building up in his or her body. For questions regarding essential oils for dogs, please contact our Customer Service Team at [email protected]. Your inquiry will be directed to our Certified Aromatherapists who have undergone specialized animal aromatherapy training. Thank you for all of the wonderful information. I came from an MLM company that suggest neat use on cats for stress, fleas/ticks, worms, anything and everything. I hadn’t done any of that yet and am glad I didn’t. It’s scary how much damage I could have done to them. I’ve adjusted how I diffuse at home. I have been waiting for this. I love the detailed information. I have a cat and I want her to be as safe as possible. Thank you Plant Therapy. This is great information to know! Thank you! Thank you for this information. I am thinking about getting a cat but I have been conflicted because I diffuse regularly. Thank you for this useful information. 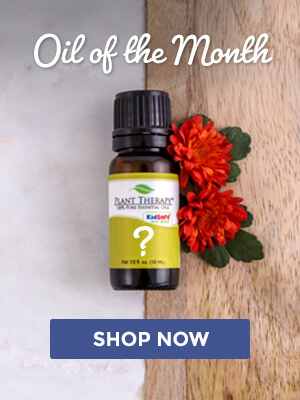 I enjoy the blogs and learning new information about essential oils. So thankful for Plant Therapy and all the education you provide your customers. I recently gifted a set of Plant Therapy essential oils and a diffuser to my brother and sister-in-law and was able to share this blog post with them, as they have a cat. Thank you PT for all the hard work you have put in to continuing to research this topic. It’s such a tough one and there is so much confusion surrounding the safety of EOs and cats. It’s comforting to know that you guys truly care about animals, especially when it comes to what could potentially be very dangerous for them. I love my oils but I’m so glad I discovered the potential dangers before jumping in and diffusing. I would have felt absolutely horrible if I had made my babies sick. They’re my world and their safety and comfort in more important to me than anything. I’d love to be able to diffuse sometimes but for now, my inhalers, necklace and rollers work perfectly well for me and it keeps my babies safe and happy! I did some research on my own when I was looking into starting to use essential oils, so I knew that I had to be careful with the oils. I was disappointed at first because I thought I couldn’t use them at all. The education out there about animal safety is so misleading with some saying it is fine to use essential oils on or near animals and others saying it is not safe at all. I appreciate this article because you have told us why it is dangerous for cats. I am particularly upset that other (unsafe) essential oil companies tell you it is ok just so you spend more money. It is soo aggravating. Thank you for being so truthful!! I had no idea that cats were so sensitive to essential oils!! Very Informative post. Is there a length of time i should wait after diffusing before allowing my cat back into the room? I never knew this until recently. I lived in a small 1 bedroom with my two cats and would diffuse all the time .I never knew EOs were bad for them. I feel so bad because my cat had symptoms I had no idea why. I thought she got into some cleaning stuff because she would vomit all day one time. She is okay now but I am very very careful now with my EOs. Inhalers only. I’ve been so curious about this. I have several friends/family members who have asked me about EO’s but they have cats so I’ve been very cautious on what I tell them. Now I can provide them additional information. Thank you so much PT!!! Thank you for this information! I’ve been curious about it. As I live research, thank you for siteing the research so I could do more. Thank you so much for this helpful blog! I rescued my boy when he was a tiny kitten, and he’s had a rough start to life; so I’m super glad to know that I can now be even more careful with my EO‘s and diffusion around him. I came across another EO company that sells oils specifically for animals, that I was considering purchasing from. But some of the oils used in their blends are on this no no list, and since I trust PT so much, I’ll be sticking to these guidelines! What about catnip essential oil? So glad to see a blog post on this! I love that the word is being spread for safety with kitties too! Thank you so much for this info! Especially the signs of toxicity. Our cat seems to know the oils are bad because she won’t come near them. I am so thankful to Plant Therapy for taking our consumer concerns seriously, and for being so diligent in adding **certified animal aromatherapists** to your staff! I have five indoor cats and have not diffused in my home after learning about the dangers as I was concerned about their well being. 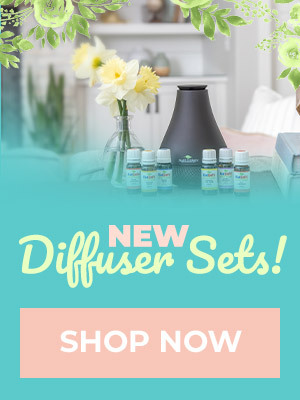 I will now feel more comfortable diffusing in certain areas of our home, and will use more of my inhalers and diffuser jewelry in areas where the kitties tend to hang out. Thank you for the great article as a mixed house with a cat and a dog I was wondering what my dos and don’ts were. I had no idea EO could effect cats. Great info! Thanks! Such great info. I have a cat that is constantly snuggling close, so this is good to know. Such good information!! I’ll share with all my cat owning friend’s. I have a cat & I had only read a couple of things about them being sensitive. This was a very good topic. Thank you for this information! I’m grateful that PT takes essential oil safety seriously, not only for humans, but also our non-human family members. Thank you PT. I have been waiting for this information. I love my cats and my oils. When I diffuse at home, I make sure that the cats ALWAYS have other areas of the house to go that I am not diffusing in. I try to avoid oils that I knew where unpleasant to them, but I will for sure be more careful now knowing that some can be toxic. I think it would be especially helpful to get a list of essential oils that are very toxic to cats. 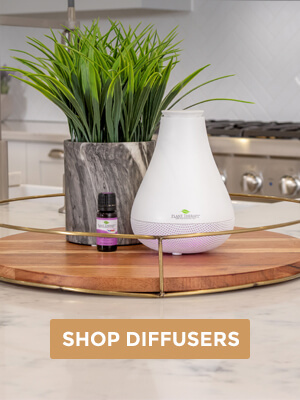 I don’t diffuse essential oils at all in the living room for my cats well-being, but there are a lot of products that contain EOs, even if I don’t put them in (for example, lotions, bath products, etc.). I guess majority of oils are toxic since cats are sensitive to such common components like limonene, but my cats getting a whiff of lavender is much safer than a whiff of citrus for an example, and that should help us decide which EO to use in the bath, etc. The lists on the web are currently all over the places and contradictory, even! Guys! Thank you so much for sharing this important information with us! My cat is mostly outdoors, but I’ll keep all this in mind when she comes in. Thank you! I have always had great respect for plant therapy and have learned a great deal but I am concerned that you are perpetuating the issues of cats a oils. If used properly, and of quality tested on use in cats, they can enjoy oils. I use oils from animaleo which are specifically developed for use in animals including cats. Karen, you may want to bring this concern up with our certified animal aromatherapists to learn more about our current stance about essential oil usage with cats 🙂 You can contact them at [email protected]. Great information!! Now that I’m aware of the dangers I’ve quit diffusing and instead have switched to making lip balms, soaps, etc so I can still enjoy my EO’s while keeping our 2 cats safe. Thank you PT for always going the extra mile for your customers!! I have 3 cats so this blog is very helpful to me. I knew about diffusing in an open space but didn’t think about my cats coming in contact with oils used for cleaning surfaces. Very helpful blog. Thanks PT for all you do! Thank you for this. I don’t used my diffuser anymore caues my cats sleeps in my room now. I’m careful around him. Thank you again. Appreciate the easy to understand information on such an important topic! I have a cat and I had no idea they were so sensitive to essential oils. So glad I found this article so I can keep her safe.